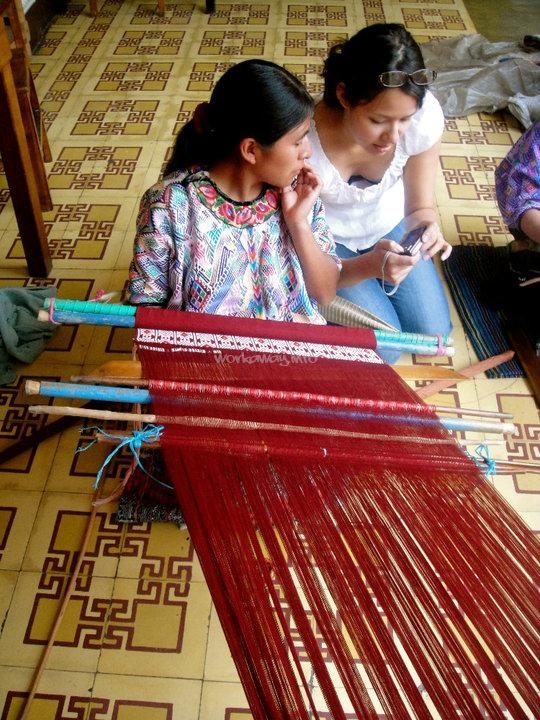 Volunteer with a Womens' -Owned Weaving Co-operative in Guatemala! Here we understand that a voluntary position should be beneficial for both the volunteer and the organization. We always do our best to place our volunteers in roles that they have experience in and will excel in. We fully appreciate all the time given to us and we rely a lot on all the help we receive through volunteers from all over the world. 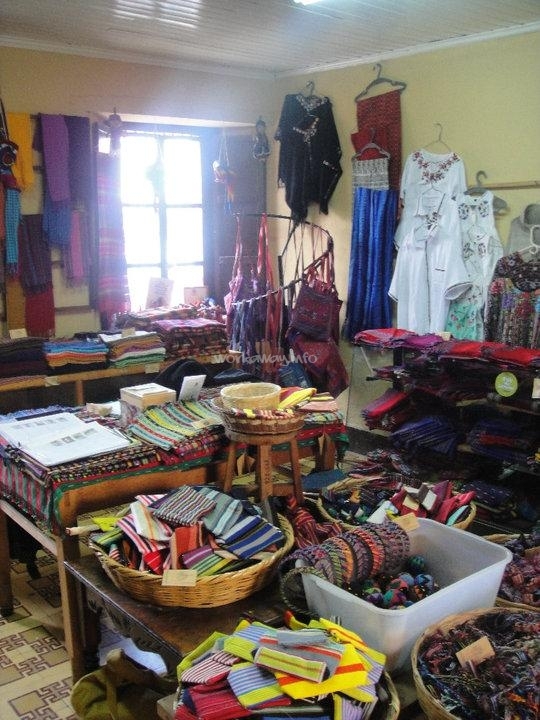 It is a great chance to understand the working of a small fair trade textile association here in Guatemala and work with Guatemalan women here. You can help make a difference to the textile industry! Additionally, for shorter-term volunteers, we can always use help in our tienda, distributing local publicity in cafes/bars/restaurants/volunteer organizations around Quetzaltenango, and other projects. 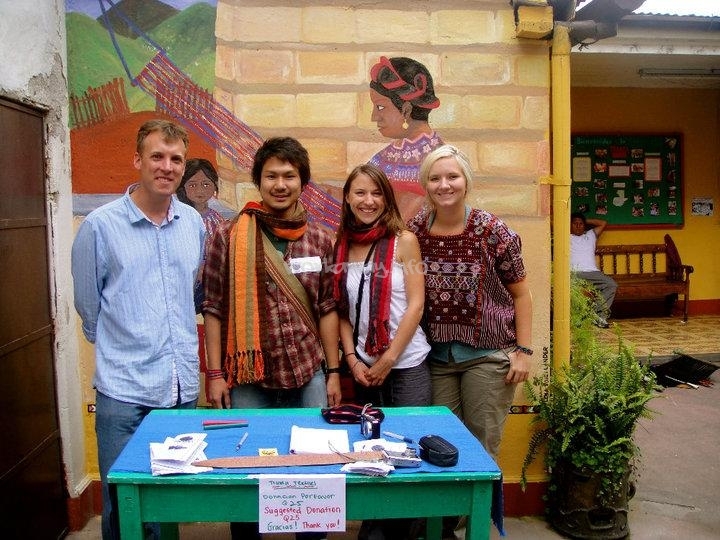 Please get in touch if you're planning on a trip to Xela and we'll work with you to find a great opportunity to help! Get in touch with us and we'll work with you to create a great opportunity to gain experience and help the women of Los Altos! 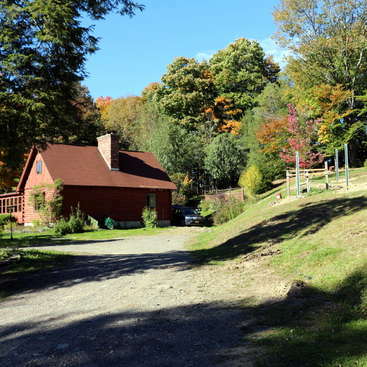 We do not provide accommodations or meals, but we can help you find an inexpensive place to stay. Quetzaltenango is a mid-sized city with plenty of affordable hostels and apartments. There are many shops and restaurants, bars and cafes, and it is a short bus ride away from many of the beautiful tourist sites in Los Altos (Lake Atitlán, Chichicastenango, Antigua, Huehuetenango, and many other destinations)! All positions are non-paid. We do not charge any fees for volunteering. As the second-largest city in Guatemala, Quetzaltenango is full of fun things to do! There are some beautiful sites to see close by, including Lake Atitlan, which is just a few hours away by bus. There are many volunteers here in Xela with various NGO's, as well as a lot of students learning Spanish, so you are bound to make plenty of new friends in and out of the family! I had a brilliant time volunteering at this place. I spent 3 weeks there... far too short! I was working on lots of projects aligned with my own interests in community development which was great. 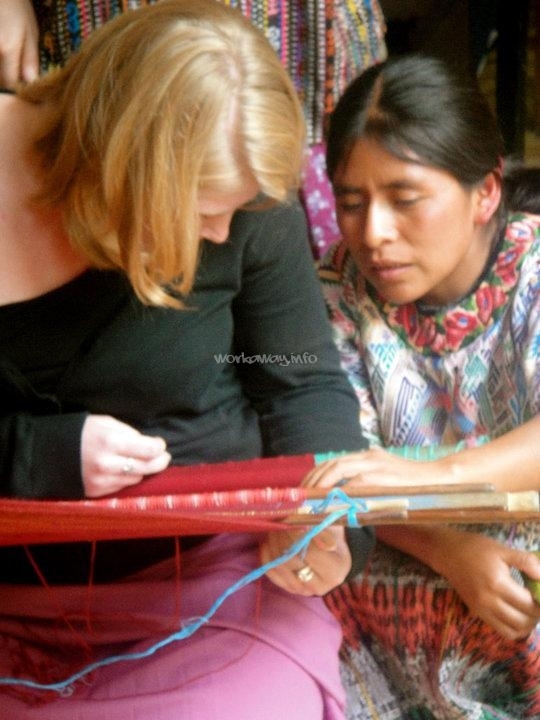 I made the most of getting involved in learning back strap weaving and doing a home stay with a family which was fab. It's great to see a true… read more cooperative working, with the president and vice president making all the key decisions. I was also lucky enough to visit a weaving village with Orelia and the other volunteers to give Christmas presents to the community which was fantastic. I really enjoyed living in Xela, lots of things to do. I volunteered in the morning and went to Spanish school in the afternoon. 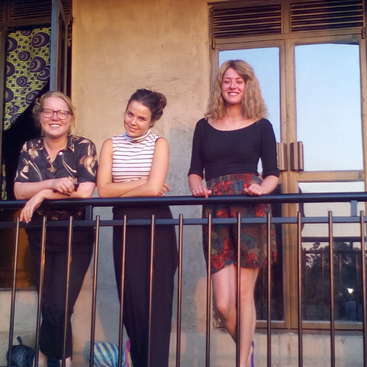 Coralie was fab in helping me find somewhere to stay and even offered to help sort my travel from the airport to Xela. We volunteered here for 6 weeks in November and December 2018. Our work was very interesting and we felt like we contributed to a cause that is in line with our values. Working with the coordinator and the other volunteers was enriching and working with the president and vice-president of the cooperative taught us valuable lessons. We will… read more always remember the time spent with the team and the very special trip to Cotzal where we met some of the weavers. Although accommodation is not provided, the coordinator made sure to give us a few options and we found the one we were happy with. Xela has a very well-oiled expat community and it is easy to find information. It is a very well connected city. Moreover, we were happy to be able to find some of the products we enjoy consuming which is not the case in other more remote places in Guatemala. Overall we enjoyed the experience and are happy that we made the decision to go there. Corina worked with the president and vice-president to understand their view on how the association is working and where it wants to be. Communication went well because trust was established from day one. She wrote a blog article and worked on the monthly newsletter. Corina also helped with the sales in the physical shop and helped organize two… read more events whose main objective was to raise money for the weavers and their children for the winter holidays. Julien created a products list containing the main information about the inventory. He also created SKU (unique reference number) in order to cross reference items across several online platforms. Based on the online sales, he pulled out top sellers report and products seasonality. Julien also mapped out the entire process flows (physical, financial and information) from the purchase of raw materials, the sales channels all the way to when the money actually hit the bank in order to spot improvement opportunities, pain points and bottlenecks. Together we held a good meeting with one ofthe key partners for future growth. Further to this meeting, we successfully rationalized the consignment stock at the partner (about 75% volume and value reduction), revised all prices based on actual COGS (cost of goods sold) and built a solid relationship for future collaboration and business grow. Between the 2 of them they raised 80% of the objective set for the project's Christmas online fundraising initiative. Corina and Julien were of huge support to us. Having them around helped so much! They are highly independent, reliable, trustworthy and full of positive energy. Working with them has been very easy as they immediately identified how they could help and are very good at what they do! Thank you again for all the help provided, it has been a pleasure to work with both of you! Good luck with the rest of your world trip! Lauren spent one month as a volunteer. She worked on our new website and did an excellent job. Lauren is a very enthusiastic and positive person and it was great working and spending time with her! What an amazing cooperation to be a part of! 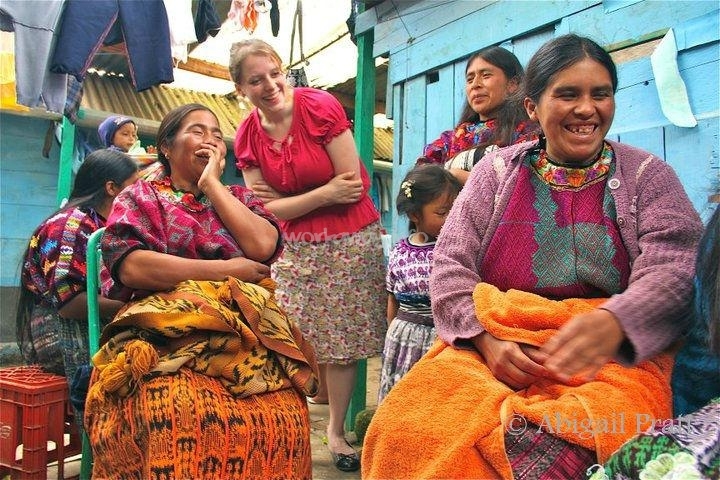 The founders are the kindest ladies and do so much to support the Mayan women of Guatemala. Through writing the content for the new website I learnt so much about the effects of the civil war and of middlemen abusing the financial rights of the indigenous women. I also got the opportunity to stay a… read more weekend with a Mayan weaver's household and absolutely fell in love. This is such an amazing experience and I thoroughly suggest for everyone to jump on an opportunity to help out! I think this is the best place I could've found for a month. Vale la pena!!!!! Marie was a volunteer for two months here and we loved to have her. From the beginning she had a great passion and interest in our work and was willing to do anything that would help our weavers. She worked much more than we asked her to and was completly commited to her job as a volunteer. 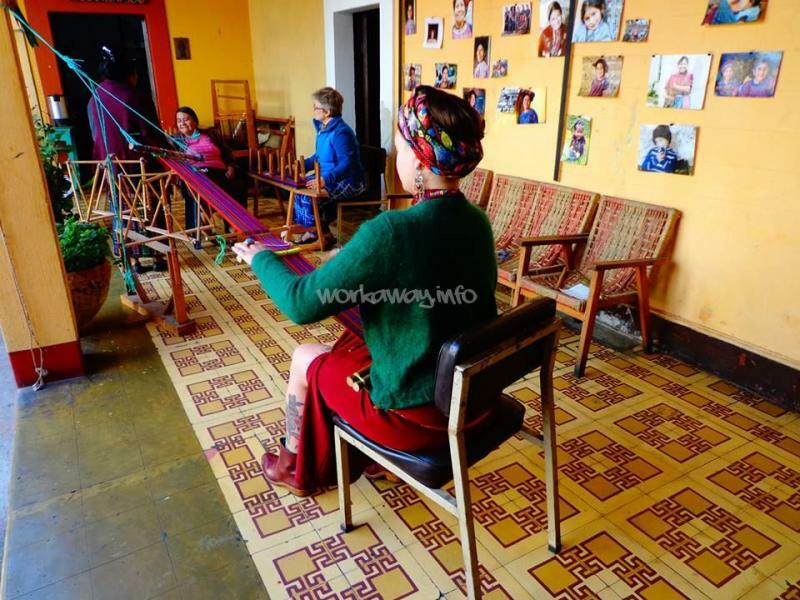 She developed two projects of her own and was able to… read more work together with the women of our cooperative in a kind and respectful way while always making sure that work got done in time. She showed so much love towards our weavers and their families that they're still asking about her and everybody was very said when she left. Since she left, Marie has kept supporting us by mentioning our work on her travel blog and we couldn't be more thankful. She was one of the most committed volunteers we ever had and she'll always be a part of the family! I volunteered two months with this beautiful cooperative! What an unique and authentic experience... Surely the most amazing I had durig my one year travelling ! The two founders welcomed me so warmly ! I was working with the coordinator, Janina, who is so lovely, patient and passionate about her work. She will always be here if you need help or… read more advices but if you want to be more responsible on projects, she will let you full autonomy! My daily work with her and the other volunteers was not a common volunteer position but a really great team job ! I also had the chance to visit several times the weavers and the founders offered me to visit with them their villages. Such an unique experience! There is so much different work to do there, you can learn a lot! It was really heart breaking to live the team, it was like being part of a family! What a beautiful place, people and products. 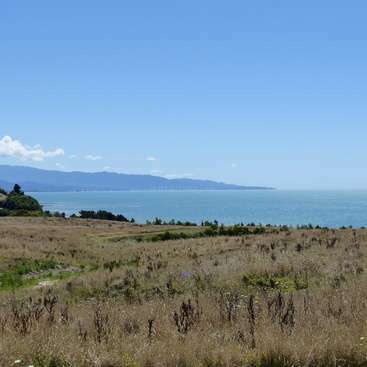 I loved doing volunteer help here for only 6 weeks (but wanted to stay longer). 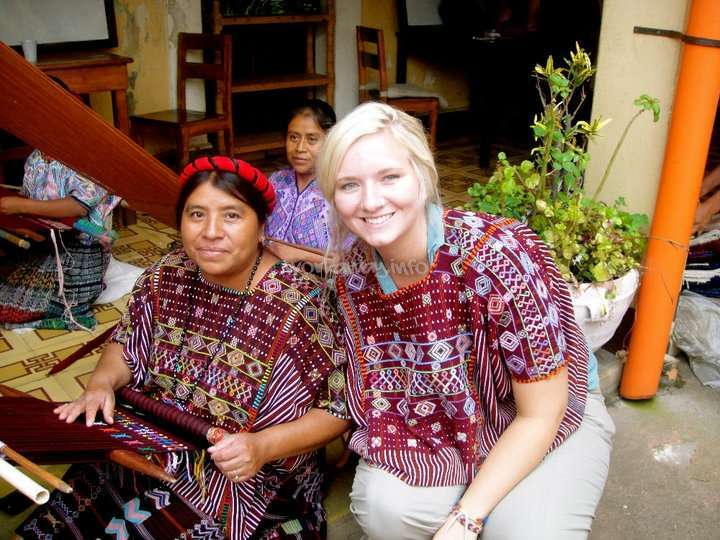 Working and living in Quetzaltenago / Xela and Guatemala was a great experience for me. I did volunteerwork in the morning and had some Spanish classes in the afternoon at a Spanish school: a perfect combination. I worked… read more with the ETSY webshop, and also helped in the shop in Xela and with Social Media. Working together with beautiful colours and a different culture made this such a beautiful experience. And living in Xela is easy and fun: you'll find a place to stay for cheap or you can combine Spanish classes with volunteerwork. A lot of people (volunteers, students, etc.) who stayed in Xela, felt in love, and stayed longer. And for me it really felt like my hometown. I am currently volunteering in Xela, Guatemala, and would highly recommend working here. The whole team is very accommodating and friendly, and passionate about what they are doing. They are always in need of volunteers for lots of different aspects of the work, so there are plenty of opportunities to help and make a big difference in various… read more different ways. All kinds of different talents are appreciated. Many volunteers come for only a few months and end up staying longer than planned. Maybe the same will be true for me! Join us for home made living on beautyfull coastal hilltop in sw Scotland.